Rather than marry in church surrounded by pomp, obligation and long-lost relatives, more and more couples are choosing to run away to a deserted beach on a tropical island surrounded by little more than the sea, the sky and the sand. Rarotonga, the heart of the South Pacific and one of the most romantic places on Earth, is the pick of the bouquet for many couples from all four corners of the globe looking for a special place to exchange their vows. A magnificent island of high mountains clothed in lush green rainforest and encircled by white sandy beaches and a beautiful blue lagoon, Rarotonga is truly one of the last remaining paradises on Earth. There are a number of different spots on the island where a couple could choose to tie the knot, but it would be hard to go past the long white sandy beach on the shores of Aroa Lagoon, on Rarotonga's sunshine southwest coast. In native Cook Islands Maori the name means the Lagoon of Love, and it's easy to see why. Swaying palm trees, turquoise sea lapping the pale sandy shore, the setting sun turning the whole scene golden as another day at the edge of time draws to a close. This is the idyllic South Seas wedding location of your dreams. Set on the shores of this lovers' lagoon is the Cook Islands' signature resort, The Rarotongan Beach Resort & Spa, a charming cocktail of Polynesian style blended with today's creature comforts. The Rarotongan's Personal Wedding Planner says she’s finding an increasing number of couples from New Zealand, Australia, the UK, Europe, the US and Canada are opting for a no-fuss ceremony on the beach. And it's not just the romance which draws couples, but also the practical advantages of having a very affordable no-fuss wedding combined all-in-one with a South Pacific honeymoon! Some couples opt to marry barefoot with little more than pareus (sarongs), the scent of tropical flowers and the soft popping of champagne bubbles as company. Others go for designer gowns with the groom in a white dinner jacket, a relaxing pamper pack of massage and beauty treatments at the Resort's SpaPolynesia, professional hairstyling and make-up, and a full troupe of island drummers and dancers to celebrate. “ Our Beautiful Wedding at The Rarotongan! Imagine standing together on the white sand beach beside the luminous lagoon, bathed in the golden glow of the setting tropical sun, surrounded by the soft popping of champagne bubbles, the sweet aroma of frangipani and the warm well-wishes of those you love. Your dream LAGOON OF LOVE Wedding awaits you at the Cook Islands’ iconic family-friendly beach resort, The Rarotongan Beach Resort & Spa. You can also marry at adjacent boutique sister resort, Sanctuary Rarotonga-on the beach, or at private island sister resort Aitutaki Lagoon Resort & Spa, with both of those sister resorts are for adults aged 16 and over. Aitutaki Lagoon Resort & Spa – situated in Aitutaki which is a 45minute flight from Rarotonga - is also perfect for heavenly honeymoons as it is the ONLY private island resort in the Cook Islands, the ONLY resort set directly on the World’s Most Beautiful Lagoon, and the ONLY resort in the Cooks to offer the quintessence of the South Pacific, Overwater Bungalows. Imagine saying ‘I do’ on the white sands of Aroa Beach, softly lapped by the sparkling blue waters of the Lagoon of Love as the whole scene turns golden in the glow of the setting tropical sun. ‘Over the Moon’ Wedding Package is the perfect stand-alone foundation wedding package. To this you would add any additional requirements you may have such as: your Resort Accommodation (minimum 5 night stay required for the Bride & Groom), your Wedding Reception venue hire w/Dinner + Bar Tab, plus such things as Bridal Hair & Make-up + Wedding Photography. Your ‘Over The Moon’ Wedding Package is also available at our beautiful sister resorts, Sanctuary Rarotonga-on the beach and Aitutaki Lagoon Resort & Spa. Our Personal Wedding Planner says one bride, a pilot, chose a flowing navy gown in which to say "I do", another chose lilac lace (and a two-tiered heart-shaped chocolate wedding cake!) and still another was so unused to wearing dresses that her workmates blitzed the Resort's fax with such helpful hints as "The long opening at the back is called a zipper and the two holes are for your arms to go through." "On the day though she looked absolutely lovely in a short, simple pale cream dress." YOUR 'SEVENTH HEAVEN' ALL-INCLUSIVE WEDDING PACKAGE! NEW!! Yearning for a destination wedding where everything is taken care of? Our NEW ‘Seventh Heaven’ ALL-INCLUSIVE Wedding was designed with you in mind and includes your gorgeous tropical beach WEDDING CEREMONY, your BEACHFRONT ACCOMMODATIONfor 5 nights w/ breakfast and transfers + your WEDDING RECEPTION with Dinner, Drinks & Cake for 30 people (with the option to add extra guests). This is the romantic carefree island wedding of your dreams! · Bar Tab of NZ$2000 for your Wedding Reception from 6pm-9pm. You are able to add extra Bar Tab for more guests. · Extensive Complimentary Activities such as stand-up paddle boarding, snorkelling, kayaking, ‘try scuba’ in the pool, tennis + much more! · Should the Bride & Groom prefer to stay at The Rarotongan Beach Resort & Spa because they are travelling with children, we would be pleased to make a Deluxe Beachfront Suite available (subject to availability). Kindly note your ‘SEVENTH HEAVEN’ ALL-INCLUSIVE Wedding Package is based on a minimum of 10 rooms booked for your guests each staying for a minimum of 5 nights at either our family-friendly resort, The Rarotongan Beach Resort & Spa, and/or our adjacent adults-only boutique sister resort, Sanctuary Rarotonga-on the beach. Email weddings@rarotongan.co.ck now to secure your preferred Wedding Package for your preferred Wedding Date! Ask your Personal Wedding Planner @ The Rarotongan for your comprehensive Wedding Planner Form (including a range of optional extra services for you to choose from) to start designing your romantic Rarotongan wedding today! Meant to be. Both ‘Over the Moon’ and ‘Seventh Heaven’ Wedding Packages are also available at Sanctuary Rarotonga-on the beach. ‘Over the Moon’ Wedding Packages are available at Aitutaki Lagoon Resort & Spa. Packages subject to availability and prices subject to change. Your Lagoon of Love Wedding, heaven sent. For The Rarotongan's wedding photographer one of the most beautiful shots he's ever taken happened completely by accident. A couple chose to marry in the Titikaveka church not long after a storm had ripped off some of the roofing iron. "As the couple were exchanging their vows a sunbeam shone down through the gap in the roof and lit them up like a spotlight from heaven. It was right on cue, like magic." The Rarotongan's Personal Wedding Planner remembers a similar blessing from above. One young couple were in Rarotonga on holiday shortly before their huge wedding planned for back home. "They had gotten so stressed out about their big day that at the last minute they decided to marry here. But on the day of the wedding the weather completely closed in and it was pouring with rain. They were adamant they wanted to go ahead with their beach wedding, and just as the ceremony was due to start the clouds cleared and it was absolutely fine and still. Just before they exchanged vows a light sunshower sprinkled down and a rainbow appeared and it was as though they were perfectly framed within it. They were a beautiful young couple and it was kind of supernatural, as though someone above was very happy with their decision." Another magical occasion she recalls was the wedding of an older New Zealand couple. "It was going to be the second marriage for both of them, and both had grown-up children, but they'd planned on something quiet and had eloped to Rarotonga just the two of them. Then the night before the wedding all the grown-up children arrived at the Resort as a surprise! The couple was overwhelmed with happiness at having the love and blessings of all their children, and everyone was very emotional. It was a really lovely ceremony, very heartfelt, and it was very moving to be a part of it." Also increasingly popular are Renewal of Vows ceremonies where couples want to make their wedding anniversary especially meaningful by confirming their love and commitment to each other. "It's deeply touching to be at any wedding but these ceremonies can be especially moving because sometimes the couple have been through a lot together and they're saying, despite that, they still want to hang in there." Many such couples particularly appreciate the seclusion and privacy of the Resort's Tropical Garden Gazebo. Nestled within The Rarotongan's lush tropical gardens, and with a sand floor and a canopy of thatched coconut palm leaves, the Gazebo is an intimate and very romantic venue very popular with couples seeking a beautiful alternative to a sunset beach wedding or in or beside our Aroa Beach Gazebo. The Rarotongan's Wedding Planner says Cook Islands' weddings are fully legally recognized worldwide. She says couples need only be in the Cook Islands three full working days prior to the ceremony to obtain their marriage license. All that's required are the couples' passports and birth certificates, and divorce and death of spouse papers if applicable. And while hot floral colour schemes may not be everybody's pick, all the experts involved in weddings at The Rarotongan - Personal Wedding Planners, Resort Wedding Photographer, Wedding Celebrant, Florist and many others - wholeheartedly agree on one thing. The overwhelming reason couples come to the Cook Islands is to reclaim the romance of their special day. "Couples come to Rarotonga to marry because they want it to be their day, and not the family's day. When they get back home they often have a big party for all their friends and family and show them the video or the wedding album, and that way they get the best of both worlds, the romance of escaping to a faraway tropical island along with the togetherness of sharing the event with all the other special people in their lives." Imagine standing together on the white sand beach beside luminous Aro’a Lagoon (the Lagoon of Love) at the Cook Islands’ best beach resort, The Rarotongan Beach Resort & Spa, surrounded by the soft popping of champagne bubbles, the sweet aroma of frangipani and the warm wishes of those you love. This is a ‘Lagoon of Love’ Wedding at The Rarotongan. Here, with your toes in the sand and bathed in the golden glow of the setting tropical sun, your hearts will beat as one. Meant to be. COMPLETE WEDDING SERVICE. The Rarotongan offers a range of 3 stunning ‘LAGOON OF LOVE’ Wedding Packages and a complete wedding service for couples and wedding groups – Personal Wedding Planner, SpaPolynesia, Wedding Photographer, fabulous Function Catering and much more. A worry-free wedding! MORE BANG FOR YOUR BUCK. The Cook Islands uses the New Zealand dollar – so your buying power is assured, with no foreign exchange woes for Kiwis to worry about. Plus The Rarotongan offers you SO MUCH MORE for your dollar! HONEYMOON IN AITUTAKI? Why not slip away for your heavenly honeymoon to one of the world’s 12 best private islands, sister resort Aitutaki Lagoon Resort & Spa on Motu Akitua (Akitua Island), directly on Aitutaki Lagoon, the world’s most beautiful lagoon. Perfect. EASY TO STAY SAFE. Beautiful nature but NO snakes, poisonous spiders, scorpions, malaria, sharks, or stinging jellyfish. Sheltered lagoons. PARADISE FOUND. A true South Seas island paradise for your weddingmoon. Heaven on Earth. 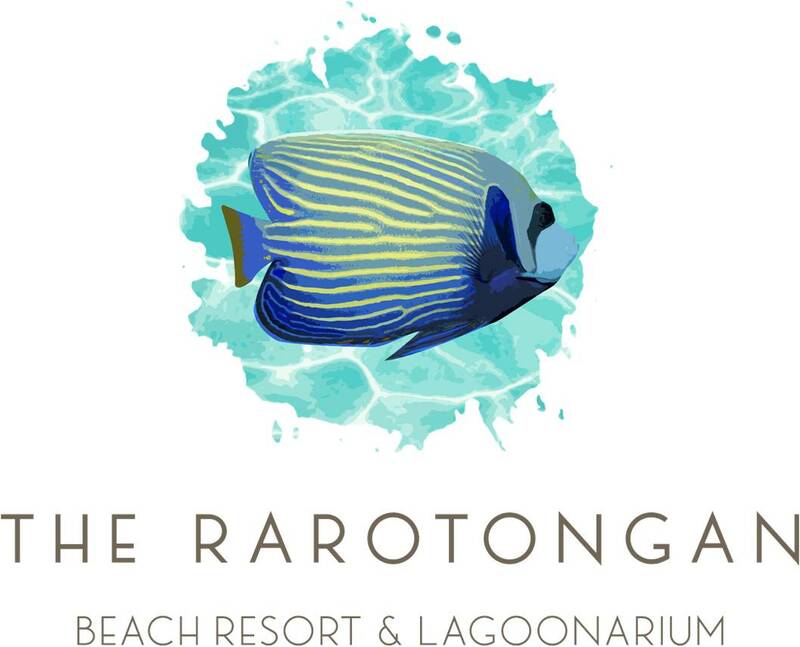 For more information on weddings and honeymoons at The Rarotongan email your Personal Wedding Planner at weddings@rarotongan.co.ck or fax (+682)-25799.